Hughes Hubbard & Reed has been recognized as one of the top 30 international arbitration firms in the world by Global Arbitration Review (GAR). Returning to the list after seven years, Hughes Hubbard placed 24th in the elite “GAR 30,” which appears in the ninth edition of the GAR 100. The rankings were unveiled March 3, 2016 at a formal awards dinner, held at the Mandarin Oriental hotel in Shanghai. Among the other prizes presented in Shanghai was GAR’s award “for innovation by an individual or organisation.” That award went to the International Institute for Conflict Prevention and Resolution (CPR) for its “screened arbitrator appointment procedure,” which allows parties to appoint arbitrators by informing only the institution of their choice, so that the arbitrators are not told which side chose which arbitrator. 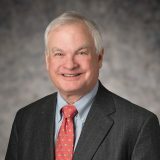 John Townsend devised CPR’s screened arbitrator appointment procedure, which was introduced in the 2000 version of the CPR Non-Administered Arbitration Rules. The procedure gained attention more recently when it was included in CPR’s 2015 Administered Arbitration Rules for International Disputes.